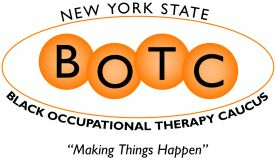 Participants who book a room at the Desmond and call the NYSOTA office will receive a special discount for an event at conference. Call (518) 869-8100 to reserve and reference NYSOTA or book online HERE, then contact NYSOTA for your discount! Friday reception, Saturday breakfast, Saturday lunch and Sunday breakfast are all included in Full registration. For One Day registrations, meals of that day are included in registration. The President's Reception is the only additional charge.